TripAdvisor's travel guides came together after the early 2014 acquisition of TripBod, a startup that connected travelers with local experts. 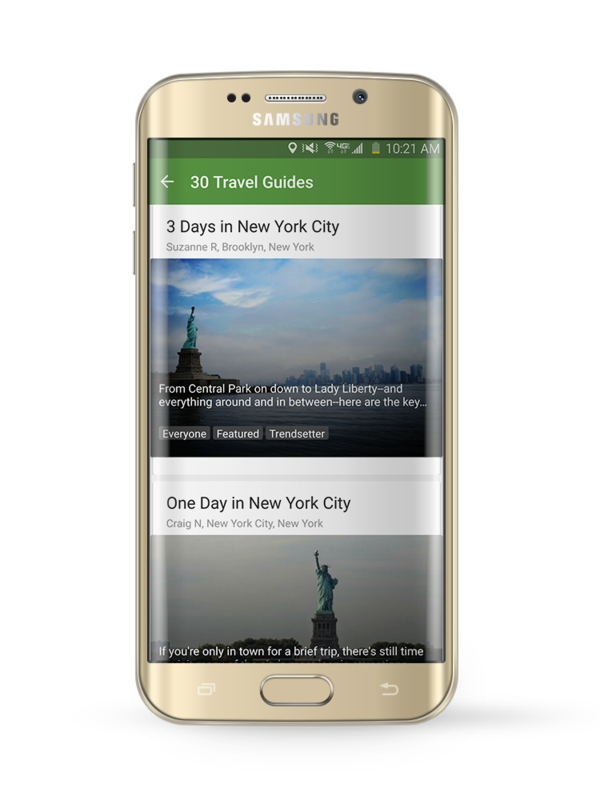 Featuring tips and recommendations for restaurants, hotels, and attractions in the world's most popular cities, travel guides are written by reputable locals. These guides, available in 200+ cities around the world, are among the best content available on TripAdvisor. 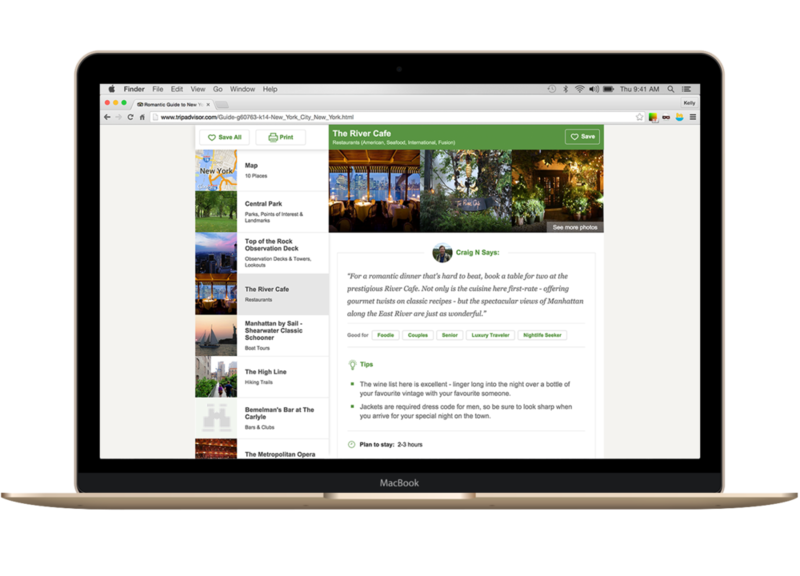 Referencing a curated guide was a totally new way for TripAdvisor users to discover new destinations and find things to do on the go. It was also a brand new platform for users to share information about his/her home city. Our team designed an experience with these travelers in mind.